Over the last few months there was a lot of buzz when Google Plus arrived. Initial reaction was very positive and it became hugely popular over the night. Many people saw it as Facebook demise and you could see a lot fo funny videos of Google+ vs. Facebook fight. One of the avatars became quite popular at that time. 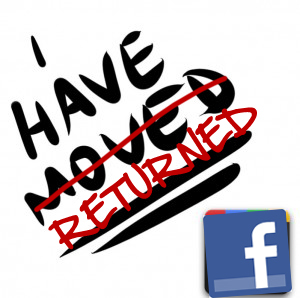 The one that says “I have moved” and has Google Plus logo. Even three Inchooers placed it on their own profiles. However, we are recognizing a trend where those same users are now putting their profile pictures back and continuing to use Facebook like nothing happened. For those traitors, we made this avatar. It would be fair if they would now wear it at least the same time as they wore “I have moved” one. Enjoy!